Daily Mail: Recovery hope or another false dawn? Still close to recent six-year lows, a decent set of results has given Daily Mail shares a nice lift. It's been the same old story for the Daily Mail and General Trust (LSE:DMGT) share price in recent months, with the former blue-chip crashing to multi-year lows in December thanks to a sharp sell-off in the wake of annual results. However, there have been some signs of consolidation in the early part of 2019, with today's first-quarter update offering hope that CEO Paul Zwillenberg's focus on a more streamlined portfolio of assets has some potential. Underlying group revenues rose 2%, helped by a 3% improvement in business-to-business. In particular, its US-based education technology arm surged 17% thanks to strong performances from Naviance, Intersect and Starfish. In the consumer media division, investors will be relieved that full-year guidance has been maintained after revenues growth of 1% in the period. Circulation revenues dipped 3%, with volume reductions partly offset by the cover price increase of the weekday Daily Mail from 65p to 70p in September. The overall performance is hardly stunning, but it was sufficient to drive shares nearly 2% higher to 587.5p. There have been plenty of false dawns in the past, most notably last summer after shares peaked at 774p. While 2018 was always set to be a year of transition, the market was clearly happy to price in a good chance of success in terms of generating growth in both profits and the dividend. This optimism was helped by the £642 million windfall DMGT received from the sale of its 30% stake in Zoopla owner ZPG. From a net debt position of £679 million two years earlier, DMGT finished the 2018 financial year with net cash of £233 million and "the strongest balance sheet in living memory". The full-year dividend was increased by 3% to 23.3p, leading to compound growth of 7% over the past 20 years and the current yield of 4%. In the annual results, Zwillenberg highlighted the examples of the EdTech and Energy Information divisions after both went from consuming cash in the 2017 financial year to being cash generative in 2018. He told analysts in November: "They are delivering what I call good growth, sustainable profitable growth with a high quality of earnings." 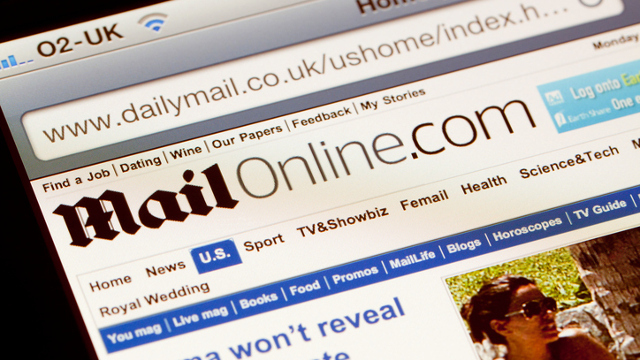 The media veteran, who became CEO in 2016, also noted the success of Mail Online, which is now profitable and fending off the threat posed by the likes of Facebook and Google. It grew total audience minutes by 2% to 145 million a day, while an additional 1.3 million people a day are also watching DailyMailTV. Despite these milestones, DMGT shares were punished in November and the early part of December on a disappointing outlook for the 2019 financial year. This was driven by the consumer media division, which is expected to see a mid-single digit underlying decline in revenues with the adjusted operating profit margin in the high-single digits. This compares with 10% in the 2018 financial year, with margins under pressure from newsprint costs and investment in DailyMailTV. The guidance for the B2B division is for low-single digit underlying revenue growth with an adjusted operating profit margin in the mid-teens. DMGT backers, who have included fund manager Nick Train, will be relieved that the expectations for consumers and B2B remain unchanged today.